Avengers 4 will see Black Widow making the ultimate sacrifice to bring the group together, according to a new fan theory. Marvel Studios has done an amazing job keeping all of the details about the highly anticipated sequel under wraps, which has led to the fan community trying to connect the dots for themselves. Obviously, these are theories, but they are still fun to discuss, and this latest idea seems to make a lot of sense in bringing the Avengers together at a time when they need it the most. The events of Civil War and Infinity War have left the Avengers fractured and defeated. The Russo Brothers have revealed that some of the plot elements from Avengers 4 can be found in Civil War, which got one Reddit user thinking about what that could mean. Since there could be a lack of trust in between Tony Stark and Natasha Romanoff after she sided with Steve Rogers in Civil War, she might have to prove that she is still trustworthy. It would be the opposite for Romanoff and Rogers, who have continued to work together. With that being said, the Avengers 4 fan theory suggests that Black Widow will sacrifice her life, possibly for the Soul Stone, which would then help to bring Steve Rogers and Tony Stark together. Additionally, it would enrage Hulk and bring him and Bruce Banner back together. When all is said and done, the theory states that love will bring them all together. This is all speculation at this point in time, but it makes a lot of sense and it's a cool way to bring the Hulk back into the battle against Thanos. However, there is already some doubt amongst certain fans who argue about which specific parts of Civil War will factor into Avengers 4. When the Russo Brothers revealed that parts of Civil War will end up in the story of Avengers 4, many Marvel Cinematic Universe fans assumed that the directors were referring to Tony Stark's B.A.R.F tech. The now infamous orange briefcase has been spotted on the set of the upcoming movie, so it's believed that it will play some kind of role in the plot, possibly in tandem with the Quantum Realm, which is confirmed to be a substantial element in Avengers 4. There have been plenty of Marvel fan theories floating around for Avengers 4 ever since Infinity War was released back in April. Those theories don't stop with the storyline. We've also seen a bunch of fan theories for the title, which many believe will be Avengers: Annihilation, and the trailer release date. Everything is being treated as a rumor for the time being until Marvel Studios comes out and officially makes an announcement. However, the studio really doesn't have to come out and say very much, which means that the fan theories will continue. 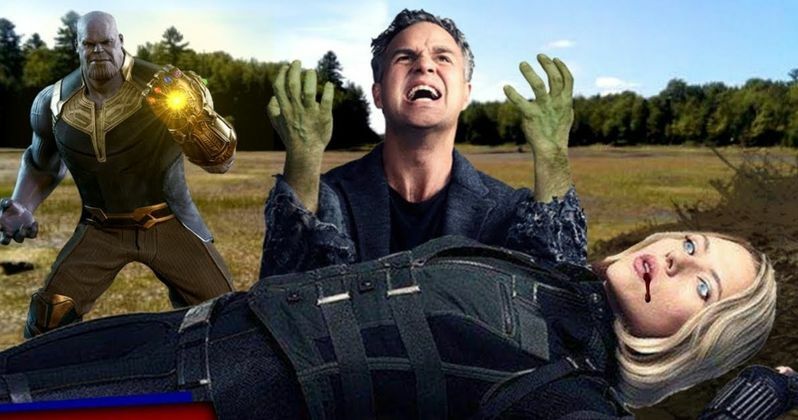 You can check out the latest Avengers 4 fan theory over at Reddit.